Made of quality pongee fabric and the inner side covered with black glue, metal frame, fiber ribs and rubber handle. 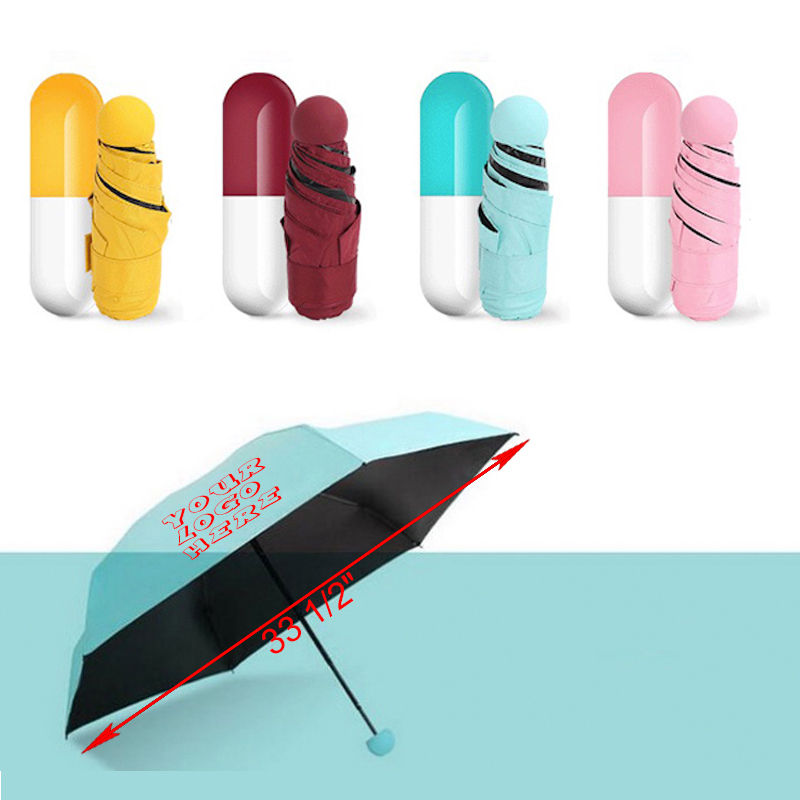 Can keep you away from rain and UV. Mini and fashion shape, easy to carry. Print your logo/brand on this umbrella, will be great for promotional/advertising purpose. Package: 1 pc/opp bag, 100 pcs/ctn, 49 lbs/ctn.